Travel in a different way in Spain and Europe, travel by motorhome. Travel through Spain and Europe with no restrictions or timetables, at your leisure. By road you can reach that dream place to share with friends. Autocaravanas Europa gives you all the facilities and services to make your holiday as comfortable as possible. Plan your trip, or plan absolutely nothing and let the road guide you and improvise your holidays. You can add many extras to your motorhome at the best price to make your luggage lighter and easier to transport. 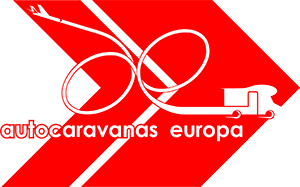 With Autocaravanas Europa you can rent motorhomes with departure and return in the same city (airport), or set off on a one way trip using our one way service. Travel with departure and return in different cities of Europe. Discover Spain and Europe comfortably renting a motorhome.